With the digital revolution taking over the world of microscopy, our most important task is to create new possibilities and applications to renew and optimize visual inspection in quality control procedures. With the ease of use and efficiency of the technology behind our digital microscopes, we are paving the way for enhanced communication throughout the entire supply chain. TAGARNO is a Danish corporation with more than 40 years of experience in developing cutting-edge solutions within digital camera microscopy. All digital TAGARNO microscopes are tested and created from high quality materials and surface treatments, creating long-lasting solutions. Being designed, developed and produced in Denmark, we always strive to deliver the highest quality solutions, to guarantee our customers full satisfaction. We are an international establishment with representative distributors covering more than 50 geographical markets worldwide. In the electronics quality control (QC) process by which entities review the quality of all factors involved in production, a visual product inspection is often performed. 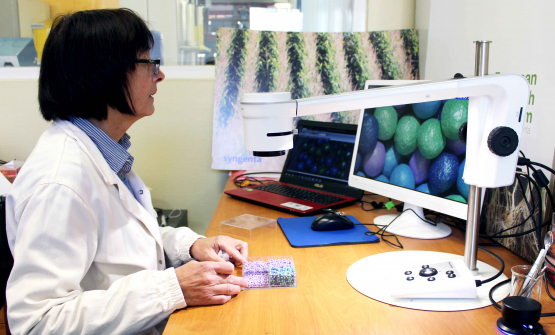 Here, every product is examined visually, often using a microscope due to the miniaturization before the product is sold into the external market. Inspectors will be provided with lists and descriptions of unacceptable product defects such as cracks or surface blemishes. Using a digital microscope enables the inspector to faster detect product defects by checking the magnified boards in FULL HD image quality.